A kiss that just won't happen. A disco at the end of the world. A teenage goth on a terror mission. And OAP kiddie-snatchers, and scouse real-ale enthusiasts, and occult weirdness in the backwoods..."Dark Lies the Island" is a collection of unpredictable stories about love and cruelty, crimes, desperation, and hope from the man Irvine Welsh has described as 'the most arresting and original writer to emerge from these islands in years'. 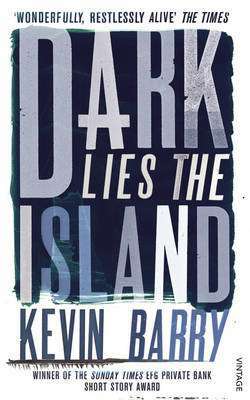 Every page is shot through with the riotous humour, sympathy and blistering language that mark Kevin Barry as a pure entertainer and a unique teller of tales.